The bus – A bus has to make stops and can get caught in slow traffic. Buses have to make a scheduled stop, which means that they often can’t take alternative routes that are quicker. Not to mention that if you miss the bus, you’ll have to wait until the next one comes around. A cab – Cab companies aren’t always reliable and may send you a cab that’s late. Not to mention that cabs are often very expensive. A rideshare – A rideshare can’t be ordered ahead of time, which means you have to count on there being rideshares available near you when you have to leave. Not to mention that if your app isn’t working or your phone dies, you’re out of luck. A friend or family member – Friends and family members may mean well, but do you want to depend on them to get you to the airport on time? They could leave their place too late or realize they have to gas up halfway to the airport, which could cause you to get there late. Driving yourself – Driving yourself means that you will have to park at the airport parking lot, which can take longer than you may expect. 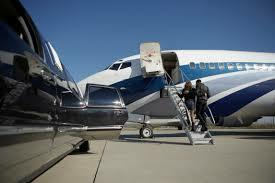 A professional airport limousine service will make sure that you get to the airport with time to spare. Many other forms of transportation aren’t very comfortable. You don’t want to be stressed out before your flight because you were jammed into crowded bus – especially if you tend to be stressed out when you fly to begin with. A limousine allows you to be comfortable and relax as you enjoy your ride. Not only will your limo be waiting for you at an agreed upon time, you can schedule a limo to pick you up from the airport wherever you are headed as well. This means that you won’t be waiting around for a ride, whether you’re going to or from the airport. If you have to get some work done, then a limo is your best option. It’s both private and comfortable, something that you won’t find with any other transportation option. If you need to pick up an important client or business partner from the airport, there’s no better way to impress them by sending a limo to pick them up. These are five reasons why you should hire an airport limousine service. Contact us at Signature Transportation to schedule an airport limousine service today. This entry was posted in Airport Limousine, Airport Shuttle, limo, Limousine, Transportation and tagged airport, limo, limousine. Bookmark the permalink.